On May 5, 2007, the city of North Canton, Ohio dedicated its new Little League facility and used the occasion to honor its last local ballplayer to reach the major leagues, Harold Burton Warstler. Known as Rabbit in baseball circles and Rap to his friends and neighbors in North Canton, Warstler was the quintessential good-field, no-hit middle infielder and played the decade of the 30’s in the majors. The Sporting News described his fielding as “demonic” and “magical.” Connie Mack called him the best defensive player in the American League. Perhaps that’s why at the last moment Warstler was added to the major league 1934 Japan tour as a replacement for Joe Cronin. Warstler was born on Sept. 13, 1903, to Edwin W. Warstler and his wife Ella in the village of New Berlin, Ohio. Rap was the first of five children, followed by Carl, Glenn, Mildred, and Dorothy. Edwin was the postmaster and was involved with local politics. He was the first village treasurer in 1905 when New Berlin incorporated. During the anti-German fervor of World War I the town changed its name to North Canton. Soon after his high school graduation, Warstler married his sweetheart, Grace Mohler, on November 11, 1921. Grace’s father was also prominent in the town. He started a flourishing lumber and supply business and would later serve as mayor. The young couple settled down in North Canton and began a family. Virginia was born in 1922, Jean in 1924 and John (aka Buddy) in 1925. Harold worked for the Hoover tannery (soon to become the Hoover Company and rule the business of vacuum cleaners) and played local sandlot baseball with the Hoover Company team from 1921-22 and later with other squads such as Sanitary Dairy. By 1926 Rabbit was playing semi pro ball and traveled all over the state. According to “Who’s Who” he was discovered by a scout named Jack Robertson while playing in Coshocton, Ohio. Robertson signed Warstler to play for Indianapolis of the American Association in 1927. The Indianapolis Indians took the train to Sanford, Florida, for spring training in 1927. The manager of the Indians was Bruno Betzel, who also played second base. The Indianapolis Star reported that Warstler was the best-looking rookie in camp. Rabbit’s competition at shortstop was veteran Larry Kopf, who had recently been reinstated by Judge Landis after having played in “outlaw baseball” a few years earlier. On April 1, the team broke camp and made its way north. In Birmingham, where they lost 5-3, Rabbit got a chance to pinch hit in the ninth, rapping a single. He saw some action later in the week at Chattanooga, where he played second and went hitless. When the team returned to Indianapolis they hosted the Red Sox. Rabbit saw late action in right field and got a hit in his only plate appearance. He would get into one more exhibition game as a sub for Betzel at second. The regular season opened with Kopf as the everyday shortstop. Rabbit did not play until the fourth game of the year, when he pinch hit without success in the ninth inning of a 14-inning Indianapolis loss. In the next 10 days he would see action three more times as a pinch hitter, going hitless each time. The Indianapolis Star had been running pictures and short bios of each player. On April 27 it was Warstler’s turn to be featured (the 17th item to run). It was also the day he was optioned to Quincy in the Three-I league. Warstler joined the Quincy Reds just in time to start their 1927 season. Quincy was excited about the year--local pitching sensation Fritz Ostermueller was on the team and Charley Schmidt, a long time Illinois baseball man and one-time Tiger catcher, was the manager. Batting seventh in the opening day lineup, Rap went one for four versus Peoria in a 3-2 loss. His first big day at the plate came in game four when the Reds blew out Bloomington 17-5 and Warstler collected three hits, including his first professional homer. The season with Quincy soon became tumultuous. Manager Charley Schmidt was suspended after seven games for “violation of training rules” and was later fired. Schmidt landed on his feet when he and his brother bought the St. Joseph, Missouri, franchise a few weeks later. Schmidt was replaced by former major leaguer Mack Allison, who had been pitching in relief for the Reds. Allison’s first change was to move Rap into the lead-off spot. Warstler responded with a twelve game hit streak and by June 1 was leading the league with a robust .384 average. The newspapers had glowing praise for his fielding and for his ability to bunt for a hit. The Reds were playing good ball when the pitching staff started to unravel thanks to suspensions and a less than stellar season from Ostermueller. In late June Allison was demoted as manager and then released. He was replaced by another former big leaguer, Punch Knoll. The team started to swoon. By the 4th of July they were four games under .500 and Rap’s average was down to .326. Even with the drop in average there were rumors that Indianapolis wanted Rabbit to return because Kopf had not worked out at shortstop. There was also interest from major league clubs. C.W.Smith, a vice president for Indianapolis, said that the St. Louis Cards had offered five players for Warstler. The newspapers also mentioned the Phillies, Senators, White Sox and Cincinnati as teams that showed interest in Rabbit. However, Indianapolis had agreed that Rap would stay with Quincy as long as the team was in contention. Warstler soon went on another hitting tear. On August 4 he was at .359, and two weeks later he was up to .366. There was quite a battle being waged with the stars of Peoria, Bill Mizeur and Jimmy Smith, for the batting crown. By the first of September, Warstler’s average had sunk to .354 and the Reds were at 60-66 and out of the pennant race. Rabbit played his last game for Quincy on Sept. 3 against Evansville before being returned to Indianapolis. He ended the season with the league’s third highest average, .351, with 121 runs scored, 31 stolen bases (tied for the lead) and eight home runs. He led the league in errors, but he fielded considerably more chances than the other shortstops. He was voted the number two shortstop in the league behind Nick Urban of Danville. Meanwhile, Indianapolis was in sixth place when Warstler returned. Rabbit saw action in a doubleheader against Louisville on Sept 5. He fielded “splendidly” but went 0 for 7. His hitless streak reached 15 before he finally connected against Columbus in a 12-3 win. For the year Rap played 18 games at short for the Indians and hit .209. He was retained for 1928 and returned home to North Canton. In the off season, Warstler, like many ballplayers, was a hunter. He often found work with the North Canton Dairy or at the Hoover Company. The job with the dairy was as a delivery man, and it was not hard for him to come in as a sub because the horses were trained to know the route and would stop at the customers’ homes. Rabbit would stay fit by playing basketball and working out at the Community Building gymnasium. Warstler had his finest offensive year at Quincy. In 1928 he would play for his only championship team, the Indianapolis Indians. Indianapolis was an interesting mix of youngsters like Warstler, Steve Swetonic and Adam Comorosky on the way up along with veterans like Fred Haney, Ferdie Schupp, Reb Russell and Gorham Leverett. Early reports from spring training announced that Warstler was being groomed for the lead-off slot. By the end of training camp that plan was scrapped and Rabbit would bat second most of the season. The Indians were now owned by local businessman Jim Perry and were still managed by Bruno Betzel. Rabbit teamed at the keystone with Mike Connolly just as he had at the end of 1927. They made a splendid double-play combo. The Sporting News wrote on June 14: “It seems probable that the kid will develop into a wonderful little player. The kid has, in our estimation, the best fielding the Association has seen in several years.” Late in the season owner Perry made a couple of pick-ups, most notably Len Koenecke. Suddenly the Indians were in the thick of a hard-fought battle for first place with Minneapolis and Milwaukee. On September 12 Rabbit went 3 for 3 with two triples to pace a victory that pulled his club within one. The next game he had two hits and made two spectacular plays in a 6-2 win to tie the standings with Minneapolis. Minneapolis took on Kansas City for three games and Indianapolis traveled to Toledo for four in the next series. Indianapolis took 3 of 4 from the Mud Hens. Warstler smacked three triples in the series and played flawless defense. The only loss came when Mud Hens manager Casey Stengel delivered a game-winning pinch hit. Meanwhile Minneapolis split with KC and fell behind by half a game. The final series of the year found Indianapolis hosting Toledo for five games and Minneapolis going to Milwaukee for four tilts. The Indians won the first three games of their series. In game three Rabbit scored the tying run and then tripled in the eventual winning run. Meanwhile Minneapolis lost two to Milwaukee and conceded the title. Indianapolis ended the season with 99 wins. Rabbit played all 167 games and rang up 15 triples and a .284 average. The team traveled to Rochester for the start of the Little World Series against the International League champions. In the first game of the series the Indians scored twice in the eleventh inning to pull out a 3-2 victory. Rochester triumphed in game two. Game 2 was a slugfest that ended in a 12-12 tie. This necessitated another day in Rochester to play a third official game. Possibly worn out from the previous marathon, Rabbit made two errors but he contributed two hits and a stolen base to Indianapolis’s 5-1 victory. The shortstop for Rochester was Charley Gelbert who went on to play with St. Louis. The newspapers hyped the comparison of Gelbert and Warstler and the Rochester papers made it clear they felt Gelbert was the far better fielder. The series returned to Indianapolis and the Indians reeled off three straight wins. Game 5 was no match, 12-5. Game 6 featured the heroics of Reb Russell, who had two homers and five RBI in the Indians' 6-4 win. Indianapolis took the final match 4-3 thanks to three errors by Gelbert, who made nine miscues in the eight games. Rabbit got the best of the shortstop match-up in the field. At the plate he hit .269 for the Series. Owner Perry gave each of the players a gold watch charm with diamonds in each corner as their reward for winning the series. Rabbit returned home to hear talk of which teams were interested in the supposed $100,000 price tag that Indianapolis had placed on him. The Indians retooled for 1929. Connolly, Koenecke, Schupp and Warstler were about the only holdovers from the championship team. Although they added Clyde Barnhart from the Pirates, the squad never jelled like they had the previous year. Rabbit raised his average to .286 and stole a few more bases, but the team was down offensively. Rabbit’s runs scored and RBI both dropped and the team finished well behind Kansas City, which won 111 games and the Little World Series crown. Red Corriden was the manager in 1930, but the team was not very strong. On June 9, when they held their first-ever night game, Rabbit had no difficulty seeing as he banged out a triple and a homer, scored four times and had three RBI. It was one of his best offensive days ever. When his first night game was over Rabbit was so hungry that the family stopped at an all-night diner and got food. Rabbit filled himself up with eggs, fried potatoes and sausage. Virginia remembers what a treat it was to go to the game and stay up late. Throughout his career, Rabbit would head south for spring training and then on to whichever city he was in. When school let out at Memorial Day, Grace and the three children would join him for the summer in a rented home. In Boston they usually lived south of the city in towns like Squantum and Wollaston. The children especially liked Squantum because they were “right on the water,” according to Virginia. When Rabbit played for Philadelphia, the family had a row house on the edge of town. In Boston, the family would take either a bus or train to the games and then ride home in the family car with their father. When Rabbit would go on the road for two weeks, the family would visit museums or go to Cape. When Buddy got older it was not unusual for the Warstlers to have two games in a day--Rabbit at 2 p.m. and Buddy afterward. Virginia remembers Rabbit furnishing bats and balls for the kids in Philadelphia to play street ball. In a dozen seasons of living like this, Virginia recalls meeting only one other child of a player, in 1933 when George Pipgras had his family, including daughter Lorraine, with him in Boston. Just before Labor Day, Grace would pack up the kids and head back to the house on Fifth Street in North Canton for the start of the school year. At season’s end Rabbit would return and get a job, hunt and maybe barnstorm a little. Virginia remembers that living was “leaner” in those winter months than during the summers in the cities. She also recalls that the only time she saw her father cry was when he realized that he could not attend her wedding on May 29, 1942. He had a night game in Oklahoma City. The 1931 Red Sox were improved over the 1930 version. Their ERA dropped 10 points and the offense improved thanks largely to Earl Webb’s record 67 doubles. Hal Rhyne captured the job at shortstop and Rabbit backed up at short and second base. Rabbit ended up playing the most at second, 42 games, but only batted 181 times and had a .243 average. His glove was keeping him in the league. Babe Ruth once remarked that Rabbit and Oscar Melillo “robbed me of more hits than any other pair. Those two devils play short-right field against me and have thrown me out on many a legitimate base-hit.” The Sox climbed up to sixth place that year. In 1932 the Sox returned to last place. Rabbit finished the year as the regular. He led the league in total chances per game and turned the third highest number of double plays. Offensively he hit .211 with sixty runs produced. Marty McManus took over as manager partway through the year. McManus would also lead the team in 1933 and play second and third base. The 1933 squad, recently purchased by Tom Yawkey, had more notable players than the previous years. Dale Alexander was at first, Johnny Hodapp came from Chicago and coaxed one last good hitting season out of his bat (.312). Other notables included George Pipgras, Smead Jolley and Rick Ferrell. The team won 20 more games than in 1932 and finished in seventh place. One glaring weakness was the lack of power--just 48 home runs for the year. Warstler contributed his only career three-run homer, an inside-the- park job on June 19 at Cleveland's League Park. Rabbit hit .217 for the season and shared the shortstop job with Bill Werber. In December the Red Sox took advantage of Connie Mack’s financial woes and swung a trade for Lefty Grove. Rabbit was one of the players sent to Philadelphia along with $125,000 cash. The swap to the A’s was very beneficial for Rabbit. The team left spring training with Warstler as a utility man, but second baseman Dib Williams developed a charley horse and Rabbit opened the 1934 season in the starting lineup. 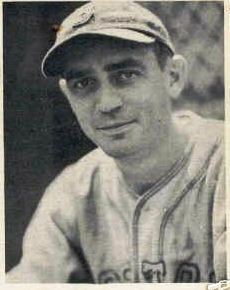 On opening day versus the Senators he went 4 for 4 with a double and played “a demonical game at the keystone,” according to The Sporting News. Playing mostly second base, Rabbit saw more action and was more productive than he had been in Boston. He hit .236 with nineteen doubles. In the summer of 1934 the Harvard baseball team made a trip to Japan. Harvard won 4 of 10 games against various squads from Japanese universities and athletic clubs. Shortly after Harvard’s return, Connie Mack began assembling players for a major league tour of the Orient. Babe Ruth was the major attraction on the squad and would also serve as manager. Mack contacted Warstler late about replacing Washington's Joe Cronin, who had broken his arm. Rabbit was pleased to oblige, but this created quite a stir in the household. Working on very short notice Grace and Rap had to borrow a steamer trunk and evening clothes from friends and family and make arrangements for the children to stay with Grace’s sister and her husband. The couple boarded the train in Canton and traveled to Chicago, where they caught a train through the Rockies to British Columbia. On October 20, the Empress of Japan sailed from Vancouver. The players stopped in Honolulu for a game against a Hawaiian all-star team, winning 8-1. Then it was on to Yokohama, where they docked on November 2. The team was known as the “All Americans.” The club included pitchers Lefty Gomez, Earl Whitehill, Jumbo Brown and Joe Cascarella. Behind the plate were Jackie Hayes and Moe Berg, but Mack used the trip as a way of training Jimmie Foxx for possible catching duties in 1935. (Foxx would play 26 games behind the plate in 1935.) The infield featured Lou Gehrig, Charlie Gehringer, Warstler and Eric McNair. Ruth was joined in the outfield by Earl Averill and Bing Miller. From November 4 to December 1 the team played 18 games throughout Japan. The All-Americans won every game, with manager Ruth hitting .408 with 13 home runs. Earl Averill and Bing Miller were the next most prolific hitters. The best pitcher for Japan was an eighteen-year-old named Sawamura. On November 20 he lost to the All-Americans, 1-0. Earlier Sawamura had the misfortune to go up against Gomez on a day when Lefty struck out 19. Rabbit’s lone home run, on the 10th, hit the top of the wall and came back into play, but was ruled a round tripper. Grace wrote in her diary that night “HR for Harold, what a drive.” Playing in late November the weather can be quite bad. The November 26 game was played in mud. Grace’s diary reports that Rabbit and Gehrig both wore boots on the field. The Spalding Guide said spectators knelt in the outfield with “water up to their hips.” The team left Japan and played a game in bitter cold in Shanghai and then two more in Manila. After these games the tour broke up. Berg travelled to Russia, purportedly to search for ancestors, while others returned to the states aboard the Empress of Canada. The Warstlers joined Gehrig, Gomez, Ruth and others for a round-the-world cruise. They made stops in Java, Fiji, Singapore, Ceylon and eventually Marseilles. Ruth went on to Paris and the Warstlers went to England and caught a steamer for the states. They returned to North Canton on Jan. 31. The Rabbit and Grace were able to do quite a bit of sightseeing. One highlight was an invitation to an evening with a businessmen named Kinosita who was a friend of Herb Hoover, the President of the Hoover Company in North Canton. A very special dinner was held Nov. 12 in their honor and they were both given kimonos and Kabuki dolls. Daughter Virginia remembers that both Rap and Grace were in awe of their trip. Two months of ocean air must have agreed with Rabbit. His 1935 season was the best offensively of his big league career. He hit .250 with 20 doubles and seven triples to go with three home runs. His fielding at second base was as sharp as ever. Unfortunately, the A’s still finished last and Connie Mack was feeling the pinch of the purse strings again. Over the following winter Jimmie Foxx and others were sent to Boston in a deal that brought $150,000. Needless to say, the fortunes of the team did not improve in 1936. Rabbit was doing his part, batting .250 again with an on base percentage of .354, but on July 6 Mack sent him to the Boston Braves. In the National League for the first time, Rabbit struggled at the plate, hitting a mere .211. In the field he was shifted back to shortstop and played 74 games. Rabbit Maranville had long been a Beantown favorite and Warstler seemed to be equally popular with the fans and management. In 1937 he played 149 games at shortstop and was involved in a couple of memorable events. On August 6 he and Roy Johnson made history when Johnson led off the game with a home run and Warstler followed with his own home run off Tex Carleton. This was the first time in history that the first two batters had homered. On September 14 at Wrigley Field, Warstler started a 6-4-3 triple play by stabbing a line drive from Clay Bryant and tossing to Tony Cuccinello at second, who relayed to Elbie Fletcherat first. Rabbit only hit .223 for the year, but he did hit his first of two homers off Carl Hubbell. In 1938 Casey Stengel replaced Bill McKechnie as manager and Rabbit upped his average to .231 and played 142 games, the bulk at shortstop. For the second year in a row, the Bees finished in fifth place, the highest of any of Rabbit’s major league teams. The Bees signed a young shortstop named Eddie Miller who would team with second baseman Cuccinello in 1939. Miller got off to a brilliant start in the field, according to a Sporting News story about his double-play prowess. (For the season the Bees turned 178 double plays, 42 more than in 1938.) Unfortunately for Boston, Miller broke his leg halfway through the year, giving Rabbit regular employment again. He played 49 games at short, 43 at second and 21 at third and raised his average to .243. Miller healed well over the winter and came back in 1940 to lead league shortstops in fielding and slug 14 home runs. Miller’s recovery and the hot play of rookie Bama Rowell at second base made Rabbit a spectator. In mid-season he was released and picked up by the Cubs. Rabbit saw more action in Chicago, but his major league career was winding down at age 36. For the season he appeared in 78 games, including more pinch-hitting than ever before, and hit .222. Rabbit went to spring training with the Cubs in 1941 but was dropped when the team broke camp. Los Angeles of the Pacific Coast League beckoned, and Rabbit headed west. He became the Angels’ utility infielder and saw action in 45 games at second, 15 at third and 19 at short, while hitting .254. In March of 1942, the Minneapolis Millers brought Rabbit to their training camp in New Braunfels, Texas. The Millers’ shortstop, Huck Geary, was threatening to sit out the year and Rabbit was the insurance policy. Geary soon reached an understanding and Rabbit found himself battling for the second base job with Frank Trechock. The Sporting News reported that Rabbit had the edge and that Trechock would be used to rest the veteran Warstler. Rabbit was in the opening day lineup on April 9, but partway through the game he was replaced by Trechock. Manager Tom Sheehan did not share The Sporting News’ opinion of Rabbit and for the next month Warstler saw little action. On May 8 he had a pinch-hit double and on May 10 he made an error as a defensive replacement that allowed the winning run. Minneapolis dropped him shortly afterward. The Fort Worth Cats in the Texas League, managed by Rogers Hornsby got off to a dismal start in 1942. Hornsby began making wholesale changes to the team. The regular second baseman, Rabbit McDowell, was sent up to Indianapolis and the team was looking for a replacement. On the morning of May 21 Warstler arrived and he was in the line up that night. The team was 15 games out of first place. In July, the Cats went on a tear and won 15 of 17 to close in on Beaumont. For the remainder of the season, Fort Worth was in the top three of the league, battling for a playoff spot. When Dallas became desperate for cash, the Cats purchased power hitter Merv Connors and second baseman George Jansco for $5000. Connors played outfield and Jansco took over for Rabbit at second on August 1, but this only lasted a few weeks. Fort Worth finished the season in third place with an 84-68 record. On September 10 the Cats took on Shreveport in the playoffs, with Warstler starting. In the first five games of the series Rabbit went 1 for 10 at the plate and fielded well for the first four. In the fifth game, a 19- inning marathon, Rabbit made 2 errors and was replaced. That would be the last game of Warstler’s career. The Cats lost in seven to Shreveport, who went on to win the league championship over Beaumont. Rabbit hit .223 in 89 games for the Cats. Rabbit returned to North Canton, settled down to family life and took a job in the Hoover Company shipping department. He may have helped manage the company baseball team, but a search of the “Hoover Newsies” (the company newspaper) could not confirm this. He did become an avid bowler and was frequently the high scorer in the company league with an average of 172. His son John attended Yale University and was named captain of its basketball team in 1945-46. Rabbit Warstler was inducted into the Greater Canton Baseball Old-Timers Hall of Fame on January 22, 1964. The ceremony was always a festive affair; the speakers that year were Gabe Paul and Birdie Tebbetts. Rabbit passed away at home on May 31, 1964 from lung cancer. He was survived by wife Grace, their three children and ten grandchildren. Grace died in 1976 and is buried with her husband in the North Canton cemetery located on Pittsburg road in the northwest corner of the city. Fellow SABR member Jim Holl kindly shared the research he did for the Little League ceremony and offered suggestions about details in the bio. Fellow member Rob Fitts helped with details on the Japan tour. Warstler’s daughter Virginia McCallum graciously allowed herself to be interviewed on a few occasions and shared the contents of the diary that Grace and Rap kept in 1934 for the Japan trip. Newspapers in Canton and Akron, Ohio; Quincy, Illinois; Minneapolis, Indianapolis, Chicago and The Sporting News. Moe Berg: Scholar, Athlete, Spy by Louis Kaufman, Barbara Fitzgerald, and Tom Sewell. 1974 by Little, Brown and Co. Various Reach and Spalding Guides and Who’s Who in the Major Leagues from 1927 to 1943. The North Canton, Ohio, Heritage Society, which has copies of the Hoover Newsies and a file on Warstler.